The institute follows a semester system of education. There are two semesters in each academic year. One semester covers a period of 90 effective working days of teaching and two weeks for final examination. A total of 20% of full marks in theory in each subject is evaluated internally through an internal assessment. The student must secure at least 40 percent marks in the internal assessment to qualify for final examination. The Examination Board of Tribhuvan University conducts a separate final theory examination with 80% of total marks and 100% of practical for each level externally through an external system of examination. A student must secure at least 40% marks in theory and practical separately to pass the final theory and practical examination in each subject. A student must attend at least 70% of classes in each subject to be eligible for final examination. A student must have taken the internal assessment exam to be qualified for the final or the examination. A student becomes eligible for the award of degree of B.Sc. Agriculture or B.Sc. Horticulture or B.V.Sc. & A.H. after completion of all the requirements prescribed by the curriculum. No partial degree shall be awarded in case a student fails to complete any of the prescribed requirements. 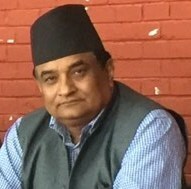 The Controller of Examination of Tribhuvan University issues transcript of Academic Record after the notification of results. The standing of the students is based on aggregate percentage of marks as: Distinction (80%), First Division (65%), Second Division (50%), Pass (40%) and Fail (less than 40%). All Right Reserved © 2019 Institute of Agriculture and Animal Science.